In a flotation process it is fundamental that the amount of the dissolved air into the water to be treated is in a correct ratio with the concentration of the suspended solids to be removed. The efficiency of a flotation process is depending on the yield of the saturator that has to guarantee a continuous and homogeneous dissolution of the air into the water, to generate the microbubbles responsible of the flotation process. The microbubbles, the lifting device for the solids to be floated up, are produced when the pressure is reduced from the saturator pressure at the atmospheric value, by laminating the pressurized water through a suitable depressurization valve. Each flotator is working in combination with a saturator. 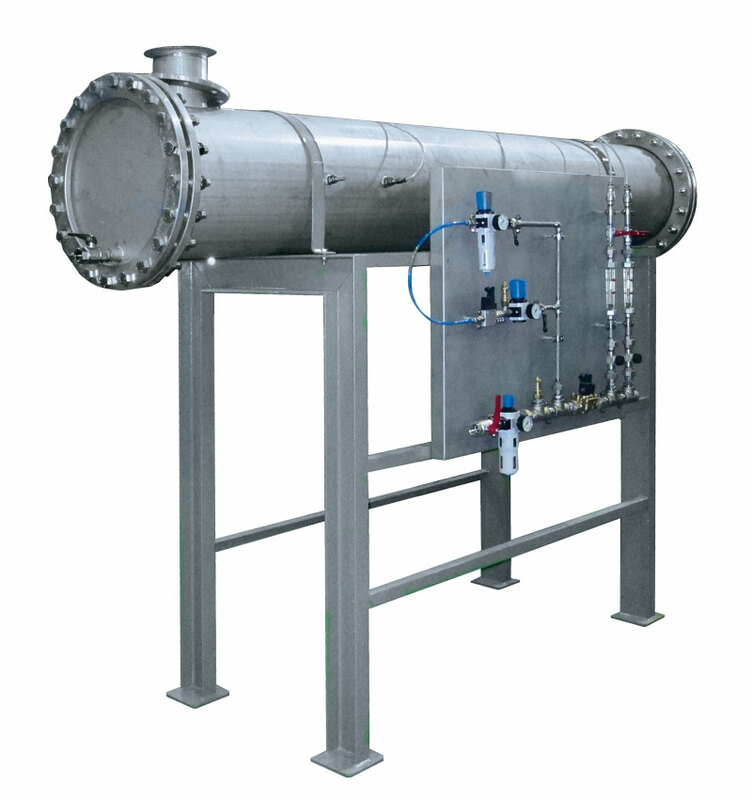 The ADT is a high efficiency horizontal tubular reactor where the air is injected through a special porous membrane. It uses air dispersion technology and centrifugal force in a small volume to get always maximum air transfer efficiency. 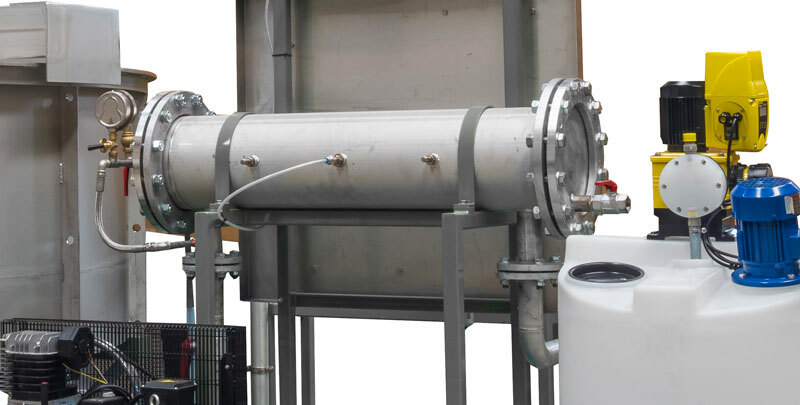 The pressurized water, containing the dissolved air, once out of the vessel, is laminated in the depressurization valve and finally mixed with the raw water before entering the flotation tank. The ADT is suitable for upgrading of competitor DAF clarifiers.